Westwood Associates had a great run with SSI’s Eye of the Beholder and its sequel, before Virgin Interactive snatched them up in 1992 renaming the development house Westwood Studios. 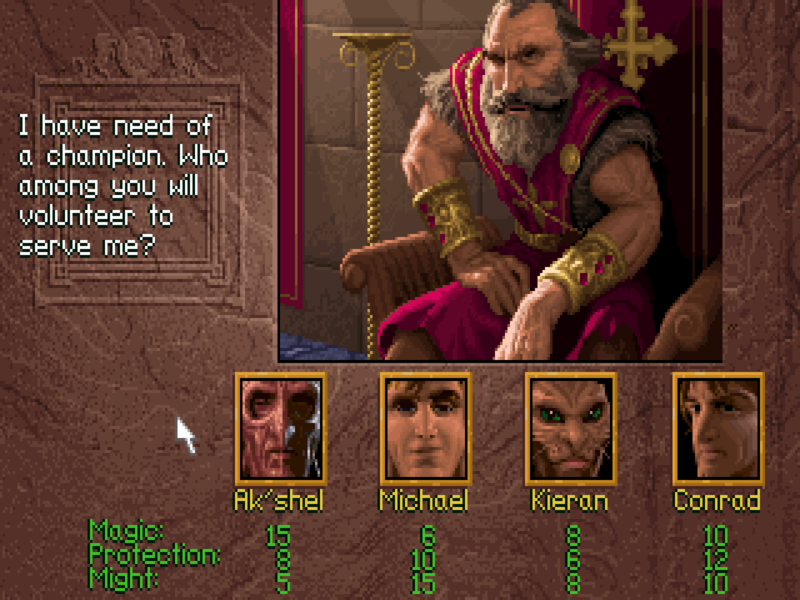 In 1993, they put their experience to good use with Lands of Lore: The Throne of Chaos. Now free to build their own rules, they took the AD&D crunch found in EotB and tried to make it less intimidating, while providing no less of a challenge. Much like titles from the Gold Box and Ultima series, the game came with a more technical manual explaining the interface and broke the fiction out into separate book. It detailed the evil of Scotia, her Dark Army, and a short, mythic history of the land which laid out the foundations for Westwood’s new world. Players chose one of four heroes to take up the quest with, each with their own strengths and weaknesses from the scaly Ak’shel and his magic to the roguish Kierean, the well-rounded Conrad or the straight-up basher Michael. Up to two NPCs could eventually also join your chosen hero making it more of a “blobber” experience. Attributes were cut down to two catch-all bins – Might and Protection. Skills were similarly shortened to three major categories – Fighter, Rogue, and Mage. 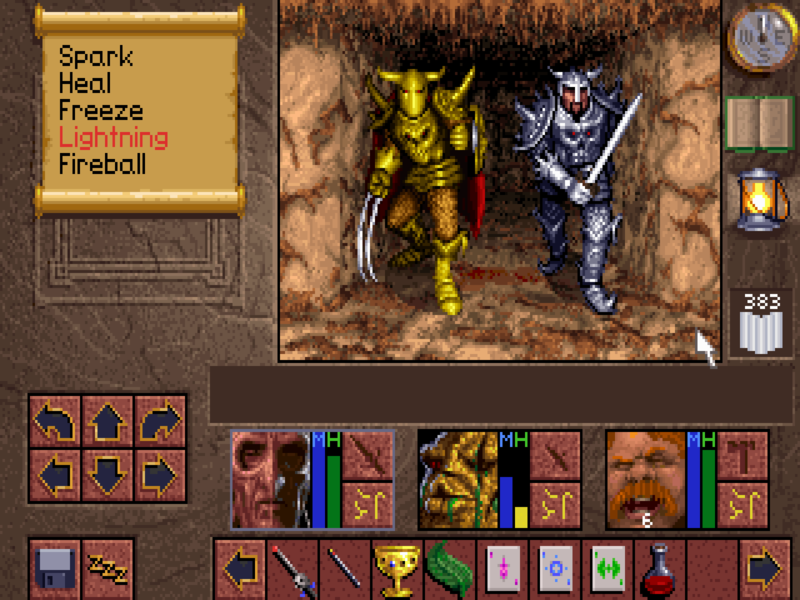 But instead of using experience points to determine your character’s development, Lands of Lore followed the example of titles such as Dungeon Master in making it so that using actions most associated with each would improve them over time. The game was also relatively linear as you fought through one zone after the next during the quest, but the first-person 3D world Westwood put together was like EotB on pixelized steroids. Outdoor areas, towns, and traditional dungeons peppered with traps, hidden switches, beasts that could dissolve weapons or disarm players, and interactive NPCs celebrated Westwood’s last dalliance with grid-based dungeon crawling all automapped for your pleasure.